Long seen as the “most unique” of US cities - New Orleans, gatekeeper to the mighty Mississippi - has had many claims to fame over the centuries; as a French trading settlement, an important Civil War battleground, the birthplace of jazz and now as the place to experience the heritage and cultural baggage amassed by this major port and melting pot. The best places to stay in New Orleans (pronounced “Orlins” by the way, not “Orleens” or “Orleyans”) are the places that share a bit of the spirit of independence and the stubborn refusal to become just another southern American city. Citizens of this extraordinary mini-metropolis (population 350,000) are fiercely proud of their own traditions and institutions. They also share a sense of solidarity that was heightened after the disaster of 2005 when the city’s flood defences failed after Hurricane Katrina. Since then, billions of dollars of federal aid have helped rebuild some of the worst-affected areas, the benefits of which spread to a general facelift for some of the city’s more down-at-heel neighbourhoods. Most visitors come to New Orleans for the atmosphere. This is most concentrated in the celebrated French Quarter, where the balconied colourful buildings are unlike anything to be found elsewhere in the US. From a conservation point of view New Orleans has had good luck as it was spared the devastation of many Southern Cities in the Civil War, leaving a stronger legacy of French-era buildings. Its soft soil also made it unsuitable for high-rise buildings, giving it a more horizontal skyline than most American cities. Tucking into jumabalaya or gumbo, hanging around the restaurants, bars and jazz clubs on Bourbon Street, visiting the uniquely characterful New Orleans-style graveyards with their above-ground tombs, or watching the spectacular Mardi Gras parade in February, there is something about this delightfully defiant, storm-battered city that you can’t get out of your system. Known as the city's Crown Jewel, the French Quarter is one of the city's most historic neighbourhoods. Stroll through the French market, nip into one of the many boutique shops or stop off for a coffee in a charming cafe. Stay downtown if you want to be right in the thick of it, just a short distance from the city's top sights. The Garden District features gorgeous antebellum and an array of museums; ideal for the sophisticated traveller. Treme Lafitte is a livelier area with plenty of jazz clubs, good food and a vibrant atmosphere celebrating the city's Creole heritage. The charming Faubourg Marigny is another good spot for music-lovers: littered with plenty of soul clubs, as well as boasting colourful architecture. The 7th Ward is a primarily residential area, so expect it to be fairly quiet and peaceful, as is Faubourg Livaudais. Wander through the colourful streets in the French Quarter. Immerse yourself in the spectacular Mardi Gras parade (February). Feast on the city's famed jumabalaya or gumbo. Spend memorable evenings in one of the city's many jazz clubs. The Hotel Guru's pick of the best places to stay in New Orleans are popular spots, so if you're planning to visit during the Mardi Gras or similarly busy period, you'll have to get organised and book well ahead. 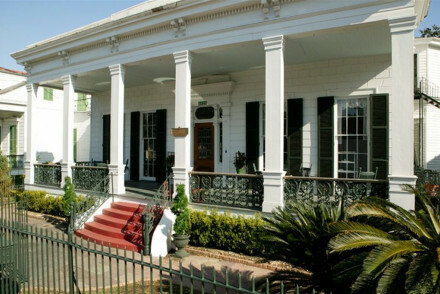 Hotel Maison de Ville is a small boutique hotel housed in an historic New Orleans house once home of Tennessee Williams. Smart rooms feature private terraces, antique furniture and lux bathrooms. 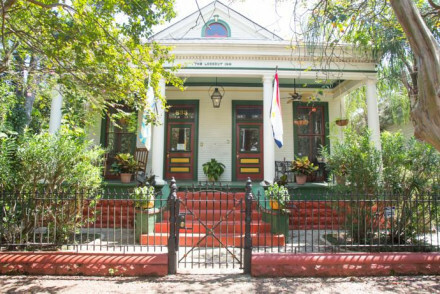 Audubon Cottages offer luxury cottage accommodation with complimentary daily breakfast in a fantastic French Quarter location. Plus they claim to have the area's oldest swimming pool - the perfect place to relax after a busy day in the city. At Hotel Le Marais you can experience appropriately Gallic flavour round the corner from Bourbon Street. A relaxing oasis of calm in the midst of the hustle and bustle. With outdoor pool and terrace to recover from the late nights. Another contemporary choice is the W New Orleans. 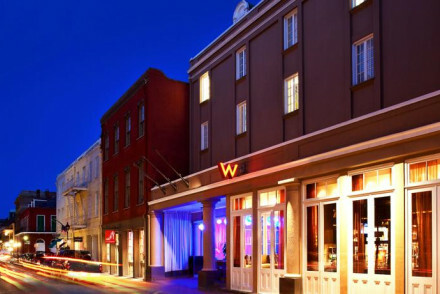 W's are renowned for their design touches and the W New Orleans does not disappoint. Here there are sleek interiors and state-of-the-art technology in every room. Studio suites come with a private courtyard and very own hot tub. 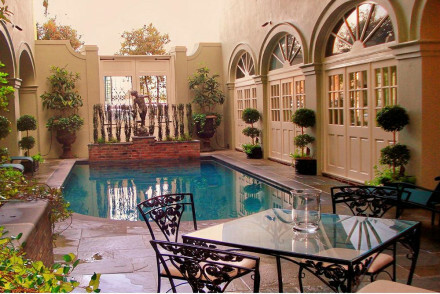 Bienville House is a gorgeous property in the French Quarter. The style is traditional and elegant and rooms start from just $119 per night B&B. 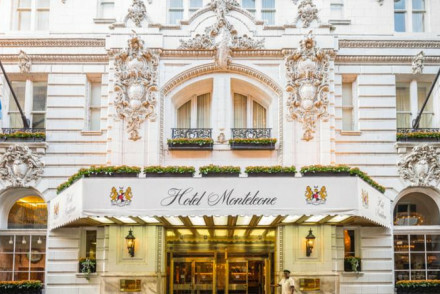 Hotel Monteleone is a family owned 1886 traditional hotel in heart of French Quarter welcoming guests with marble floors, glittering chandeliers and a chiming grandfather clock. Soniat House is an extremely elegant boutique conversion of a former plantation owner’s townhouse in the heart of the French Quarter. Very tastefully decorated in the 19th century French fashion and a short walk from the heart of the city’s bustling night-time economy. 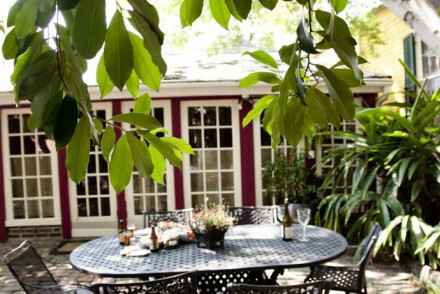 Jazz Quarters is a homely B&B in the heart of the French Quarter. Interiors are traditional in style, breakfasts are legendary and you're just across the road from Louis Armstrong Park. International House Hotel is also in a prime French Quarter location. It boasts a buzzy in-house bar and the best of New Orleans nightlife on the doorstep. Formerly a dry store warehouse, Loft 523 offers spacious, light and airy public spaces. Bedrooms are minimalist in feel with plenty of exposed wood and vast Italian designer bathrooms. It's a very stylish spot. 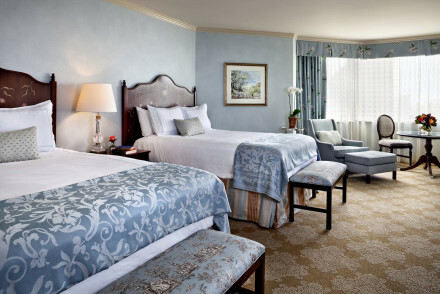 Choose Windsor Court Hotel for a little New Orleans luxury. The hotel offers charming southern hospitality, a spa, rooftop pool and a great art collection. Ace Hotel is an uber hip hotel that matches its trendy surrounds. Grown up rooms are all dark hues, clean lines and the best are provided with guitars for an evening of strumming. A roof top pool, superb restaurant and own music venue make this an unbeatable choice. 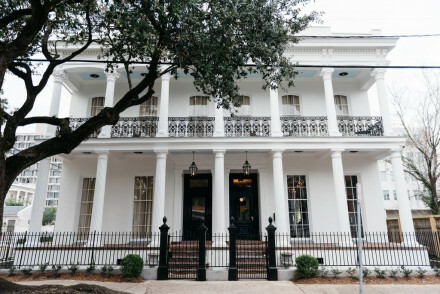 Fleur de Lis Mansion is not in the French Quarter, but oozes with party vibes and offers a complimentary wine hour every night between 6 and 7pm. There's a 12 man hot tub in the courtyard and you can rent the whole place for a holiday to remember. 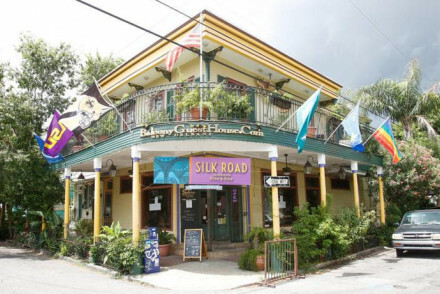 Something of a New Orleans institution, Balcony Guest House (a family-run guest house with a wrap-around balcony), has plenty of character and offers a warm welcome. Nice décor and great location close to the Mississippi - and a reasonable price. 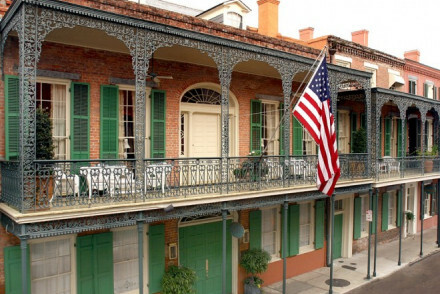 Henry Howard Hotel is an historic 18th-century townhouse located in the Garden District of New Orleans. Chic, unfussy boutique accommodation featuring white fabrics and local artwork. Off the beaten track and competitively priced, the Lookout Inn has plenty of character, with “themed” rooms (Elvis, Bollywood etc.) injecting an element of fun. Good transport links and close to Crescent park. Ashton's B&B is a period property in the Esplanade Ridge Historic District - all high ceilings and chandeliers. The eight spacious bedrooms are individually decorated and the breakfast will set you up for the day! If you're travelling with family or a group of friends it may be a better option to book a villa or apartment. For a wide range of properties suiting all tastes and budgets we recommend you visit our online partner, Booking.com. Fly to Louis Armstrong International Airport which is well-connected across the US and internationally. The best time to visit New Orleans is between December and April when the temperatures are comfortable. The hurricane season runs from June - November, with the peak month usually in September. If you plan to hire a car we recommend you visit our online partner, Rentalcars. Browse through our list of the best places to stay in New Orleans. Widen the net and check out all our Louisiana recommendations. 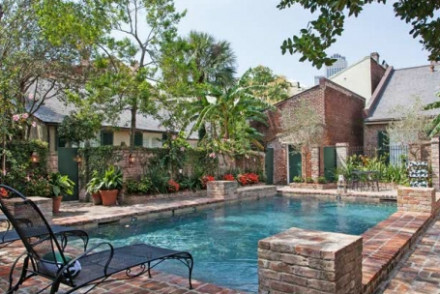 Townhouse located in the Bywater District of New Orleans has a saltwater pool, hot tub and BBQ for all guests. Rooms are unique and spacious with private bathrooms. Kitchen facilities available for all, and restaurants and bars are part of the districts make up. A home away from home, great spot. Great walks - A great stroll is to Jackson Square. Sights nearby - Crescent Park is nearby. A traditional, charming hotel in the heart of New Orleans' French quarter. Elegant pool, lavish rooms, Old World decor, four-poster beds, terraces, and hand-painted murals. Has the delicacy and character of a centuries old French Manor house. A glamourous spot in a top location. Boutique guesthouse 10 minute walk from Washington Square. Room decor is French New Orleans style and all have access to a wraparound balcony. Wifi and private bathrooms for all, with close proximity to the great Mississippi river. A comfortable spot for local exploring and great value. Sights nearby - The proximity to the oldest part of town, the French Quarter, also makes it a great location. Great walks - Just a stones throw away from the Mississippi River. 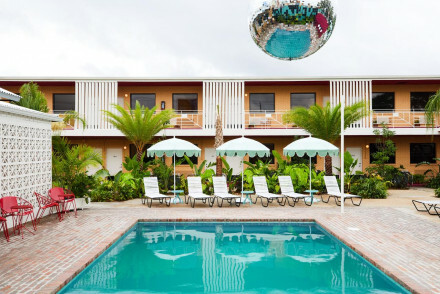 This motel has been transformed into New Orleans' most desirable boutique for the young artistic crowd. An ultra cool hotel offering simple chic rooms overlooking the central pool courtyard, complete with lively bar and hip coffee house. Come here for vibrant weekend parties and live music. Local markets - The hotel hosts an ever changing rotation of food trucks at the weekends, bringing the market to you! Stylish 1824 townhouse in the Garden District, a prime location. Home away from home with nine elegant and individually decorated rooms. A Landscaped patio area includes a bubbling hot tub and BBQ, perfect for relaxing. There is a fully equipped kitchen or explore the restaurants in the area. Sights nearby - Near the Orlean's Convention Centre, French Quarter and Warehouse District! Formerly a dry store warehouse this minimalist contemporary hotel offers a bar, spa and notably vast spaces. The Lofts are light, luxurious with Italian designer bathrooms and Aveda soaps. The in house bar is buzzy and location is perfect for restaurants, New Orleans music scene and exploring. Sights nearby - Nearby, the historical French Quarter. 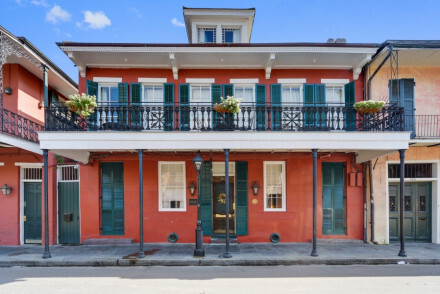 Modern and centrally located in the historical French quarter, this chic boutique property offers comfortable, contemporary rooms as well as a pool and fitness centre. Vive! Bar boasts a good wine list and signature cocktails. Perfect location both for New Orleans nightlife and sight seeing. Sights nearby - Jackson Square and many other sights make up New Orleans city. 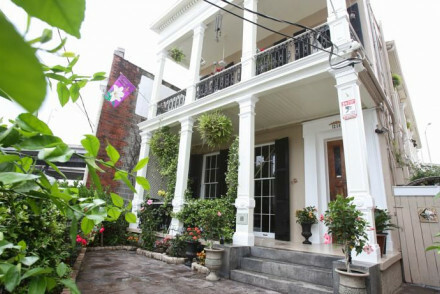 Heart of New Orleans in the French Quarter this B&B has a garden, wooden floors and fireplaces. Comfortable and homely rooms. Restaurants are within walking distance. French Quarter offering much in the way of New Orleans history, culture and live music. The cityscape is vast, happy exploring. Sights nearby - Louis Armstrong Park and Congo Square on the river. Eight unique, antique furnished rooms in the Esplanade Ridge Historic District. The rooms are spacious with historical detailing and bathrooms. The gourmet breakfast is the perfect start for a day of exploring. Only nine blocks from the French Quarter and multiple other historical sights. Local markets - French Market is worth a visit. Sights nearby - Jackson Square is close by. 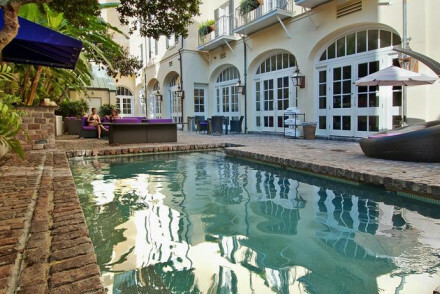 Centrally located near the French Quarter, this hotel offers a spa break as well as a lively sport to explore the city. Rooms are modern and spacious, with all the mod-cons. A buzzy bar in-house and a wide range of restaurants at the doorstep. Louisiana Maritime Museum is one for all the family. Great walks - Jackson Square and City Park are both worth a stroll through. Sights nearby - Louisiana Maritime Museum is 250 metres away from the hotel. Peaceful and atmospheric, these historic townhouses in the French Quarter offer quiet seclusion, elegant interior design, quite leafy courtyards, and southern charm. An uber hip hotel that matches its trendy surrounds. Grown up rooms are all dark hues, clean lines and the best are provided with guitars for an evening of strumming. A roof top pool, superb restaurant (in an impressive hall) and own music venue make this an unbeatable choice. City Style - An uber trendy hotel in the hip Warehouse District complete with jazz evenings and a rooftop pool. 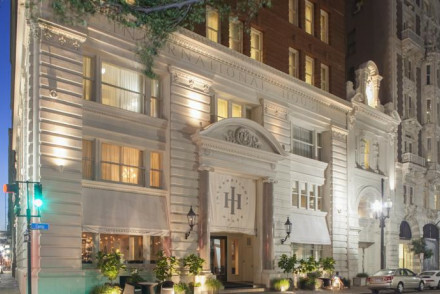 Henry Howard Hotel is an historic 18th-century townhouse located in the Garden District of New Orleans. Chic, unfussy boutique accommodation featuring white fabrics and local artwork. Kick back with a drink in The Parlor and take in the beautiful interiors! A stylish hotel in a wonderful spot. 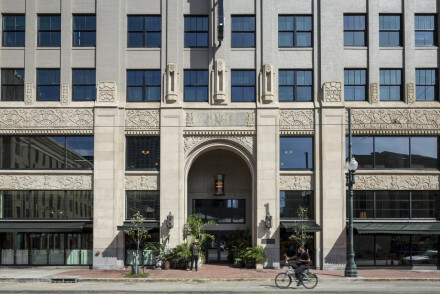 Top New Orleans luxury hotel offers southern hospitality, spa and rooftop pool, and a great art collection. Light, airy rooms decorated in the English style, top notch service. Cooking classes - Food lovers and historians should head to Southern Food & Beverage Museum to learn about Southern cuisine. Sights nearby - Tours galore - from boat to walking, plantation to city - be sure to catch one of them. 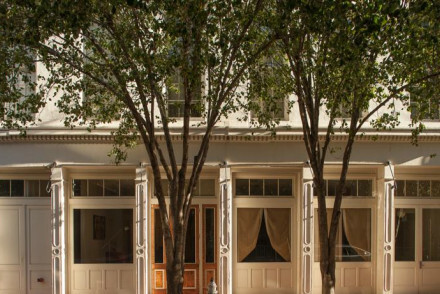 A small boutique hotel housed in an historic New Orleans house once home of Tennessee Williams. Smart rooms feature private terraces, antique furniture and lux bathrooms. A tranquil central courtyard serves as an ideal resting spot post a day exploring the lively city. Fabulous. Sights nearby - Just a short walk from St Louis Cathedral. Family owned 1886 traditional hotel in heart of French Quarter welcomes guests with marble floors, glittering chandeliers and a chiming grandfather clock. Large, comfortable rooms with all the mod-cons. Carousel Bar revolves every 15 minutes and a popular spot in town. Perfect for local adventures. Sights nearby - St Louis Cathedral is an 18th Century architectural beauty. This private, quiet spot allows one to enjoy New Orleans. Rooms are contemporary and airy and come with a continental breakfast. In-room spa treatments, a saltwater pool and a fitness centre are also available. In the heart of the French Quarter, perfect spot for restaurants, jazz and history. Great walks - City Park and Jackson Square are both worth a stroll through. Sights nearby - New Orleans Jazz Museum is 150 metres away. Modern, downtown hotel near to Jackson Square and Riverwalk offers an outdoor pool and on site restaurant. Rooms have it all in the way of electricals, are luxuriously spacious and modern. Fine dining at Sobou, relaxing by the pool with a book from the library or exploring the city in close reach. Great walks - With Jackson Square just around the corner. Sights nearby - New Orleans Jazz Museum is just 200m away.